Aquí es pot observar la duressa del recorregut. Només 26 corredors van acabar la cursa. 2 263 MOLINA,Santiago MA-30 BIGMAT PRAT 02:41:40 4:14 min. 3 375 SANCHIS,Salvador MA-30 CD UNIVERSID 02:41:40 4:14 min. 4 252 GONZALEZ,Magín MA-30 BICIS ESTEVE 02:41:40 4:14 min. 5 273 RUBIO,Joanatan SENIO CECOC 02:41:53 4:27 min. 6 331 RIART,Gerard MA-30 A.C. ANDORRANA 02:43:04 5:38 min. 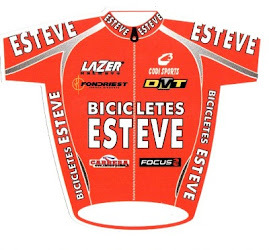 7 259 GIRONES,Josep MA-30 BICIS ESTEVE 02:43:11 5:45 min. 8 315 BAÑERES,Albert SENIO RENAULT 02:43:19 5:53 min. 9 374 BENITO,Xavier MA-30 SUPERMERCATS 02:44:12 6:46 min. 10 333 FERNANDEZ,David MA-30 A.C. ANDORRANA 02:47:06 9:40 min. 11 332 ALBOS,David CSPOR A.C. ANDORRANA 02:47:10 9:44 min. 12 295 FERNANDEZ,Pere MA-30 BICIS ESTEVE 02:47:13 9:47 min. 13 255 LARA,Carlos MA-30 BICIS ESTEVE 02:47:13 9:47 min. 14 254 SANCHEZ,David SENIO BICIS ESTEVE 02:47:13 9:47 min. 15 351 CRUZ,Antonio MA-30 BIGMAT PRAT 02:47:13 9:47 min. 16 272 TIRADO,Antonio MA-30 CECOC 02:47:13 9:47 min. 17 335 SANCHEZ,Eladi MA-30 SPRINT CLUB ANDOR 02:47:13 9:47 min. 18 306 CASTAÑO,Guillermo MA-30 BOMBERS ACD 02:47:13 9:47 min. 19 327 PATIÑO,Josep SENIO A.COM9 02:47:13 9:47 min. 20 358 PACIOS,Toni MA-30 BICISPRINT-TORR 02:47:13 9:47 min. 21 363 MIRO,Aleix MA-30 REALE - ARA LLE 02:47:33 10:07 min. 22 271 BENITEZ,José Maria SENIO CECOC 02:49:29 12:03 min. 23 368 ALZAMORA,Josep M. MA-30 REALE - ARA LLE 02:49:29 12:03 min. 24 265 PAREJO,José MA-30 BIGMAT PRAT 02:50:51 13:25 min. 25 371 GIL,Antonio MA-30 UC VINAROS 02:51:05 13:39 min. 26 329 SETO,PEDRO CECILI MA-30 REALE - ARA LLE 02:51:34 14:08 min.